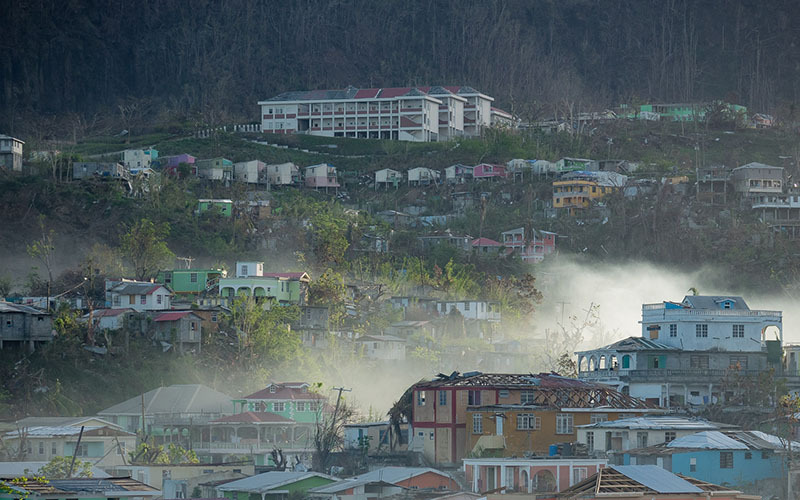 The University of Maryland (UMD) Unmanned Aircraft System (UAS) Test Site is partnering with Canadian humanitarian organization GlobalMedic to support efforts to rebuild on the Caribbean island of Dominica, one of several nations deeply scarred by Hurricane Maria. The mission will provide government agencies and the international humanitarian community with much-needed aerial maps capturing downed power lines, blocked roads, and other features that can inform and improve recovery efforts. Pilot Ryan Henderson will use a Trinity UAS vehicle donated to the mission to scan thousands of acres on the western half of the island. The areas to be mapped were identified in consultation with Dominica’s Lands and Surveys Division to ensure the project meets the needs of officials charged with rebuilding. Maps created during the mission will build on a library collected during a GlobalMedic trip in October–November 2017. The full collection will be made available to the humanitarian community on the website OpenAerialMap. Follow the UAS Test Site Twitter page beginning February 18 for mission updates.